Start your child's week off right by joining us for Yoga Therapy. Yoga therapy sessions are held once a month, Sunday morning at the Lone Tree Library. 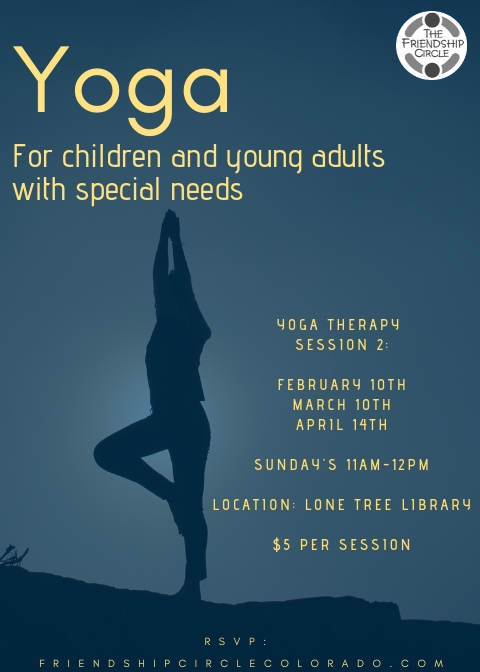 Your child or teen with special needs will have the opportunity to stretch, relax, engage in therapeutic yoga activities along with other children and teens with special needs. Following 45 minutes of yoga, there will be a light, nutritional buffet for everyone to enjoy. Sign up here.